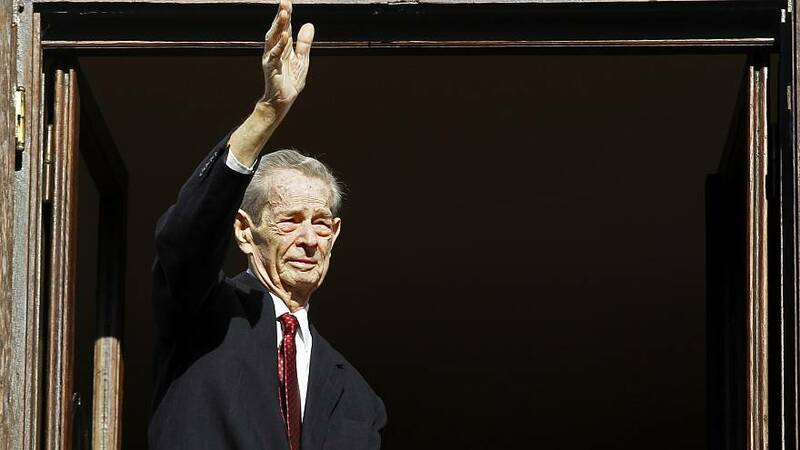 Romania's former King Michael has died in Switzerland at the age of 96, the Royal House has said. The former monarch played a part in ousting a Nazi-backed leader during the Second World War but was forced into exile by a Communist takeover. A cousin of Britain's Queen Elizabeth, Michael withdrew from public life in 2016 because of illness. He underwent surgery for leukaemia and cancer. "His Majesty King Michael I ceased life today at 1pm Romanian time at his private residence in Switzerland," the Royal House said in a statement. His body will lie in state at his castle in the Carpathian mountains and later in Bucharest before his burial in the city of Curtea de Arges. While only in his early twenties, the king played a major part in switching Romania away from a wartime alliance with the Nazis, taking part in a 1944 coup that overthrew the fascist leader Marshal Ion Antonescu. Romania then broke with Nazi Germany and switched to the Allied side. Michael abdicated in 1947 after the post-war Communist takeover of Romania. He was stripped of his citizenship and forced to live in exile in the West for decades. After the end of the Cold War, politicians blocked his first few attempted visits to Romania, fearing a surge of support for the former monarch. He finally retured in 1992 and regained citizenship five yars later. Who was King Michael I of Romania?